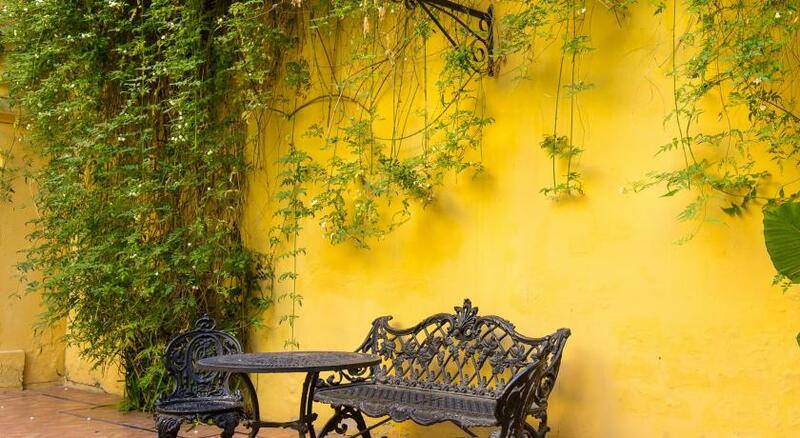 Lock in a great price for Casona de San Andrés – rated 9 by recent guests! Friendly and very helpful staff. We had a problem with the room and we given another, better one immediately. The location is great - 5 - 15 minute walk from just about everything interesting for tourists. Hotel was in a walking distant to everywhere, in the centre but in a quiet street. I'd recommend! 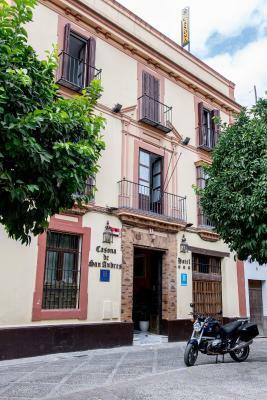 Traditional, Spanish-style building with balconies looking onto a small square full of orange trees. Staff was enormously helpful in changing my booking dates when I realized I'd made an error. 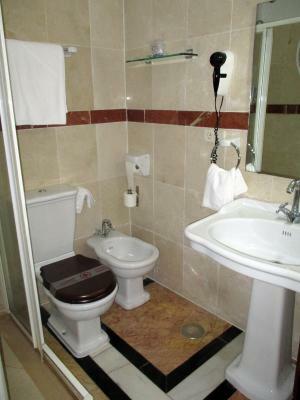 Internet was fast and rooms had mini-fridges with free soft drinks and a beer, as well as a kettle and cups for coffee. 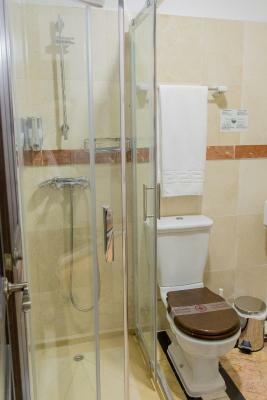 Good assortment of toiletries, including toothbrushes. 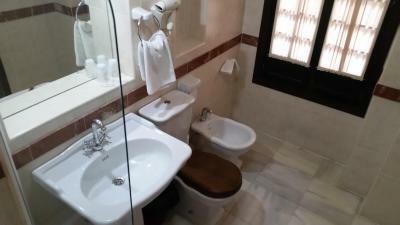 This is a beautiful hotel in the middle of the old city. Jesus, the receptionist, is very welcoming and informative. He gave us an overview of the city and all the places we need to visit. He is a very pleasant , warm person who definitely loves his job. I was pleased by everything at Casona Andres. Helpful polite staff, little extras like tea or coffee with all the fixings in the room. Very comfortable bed and lovely small plaza outside. The hotel ambience. Great location. The little welcome treats - electric water kettle and things to make coffee and tea with. Actual glasses (not plastic) and cookies and small chocolates. Great comfy king bed. 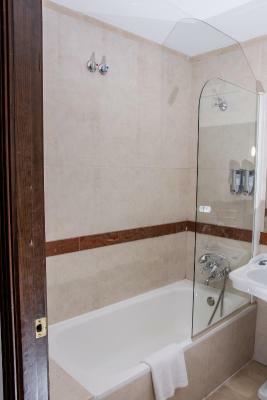 Excellent, central location, perfect to start exploring this wonderful city. 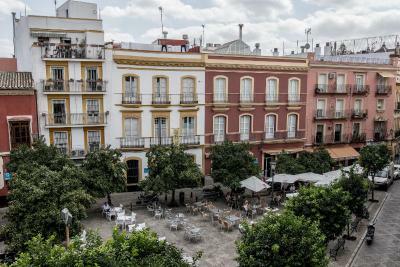 Lots of eateries and bars nearby, including a nice square in front of the building where locals assemble at a Restaurant. Room was small but in no way inconvenient. Quite clean. Bed was comfortable. Overall, good value for money. 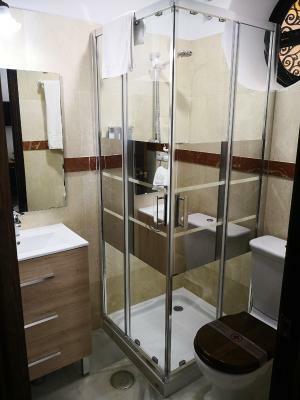 The location is great, the room is HUGE; it's clean and comfortable. You definitely get more than what you pay for. I highly recommend it! 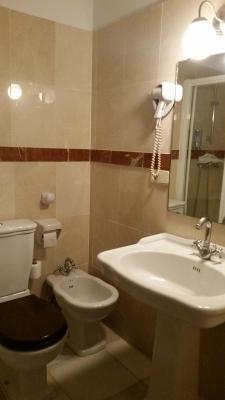 Good quiet location and very reasonably priced. 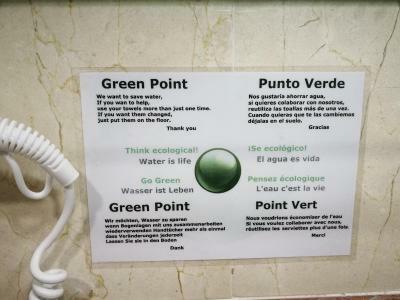 Staff were very helpful and spoke good English (much better than our Spanish!). Casona de San Andrés This rating is a reflection of how the property compares to the industry standard when it comes to price, facilities and services available. It's based on a self-evaluation by the property. Use this rating to help choose your stay! 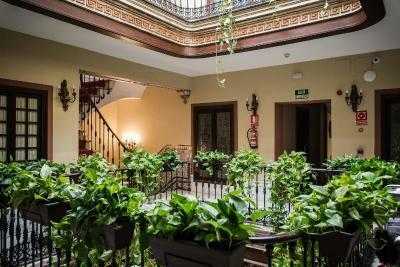 Casona De San Andres is set in a 19th-century Sevillan town house, which features original stained-glass windows and courtyards. 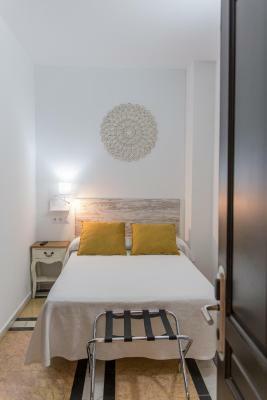 Located in Seville’s old town, it features 24-hour reception. 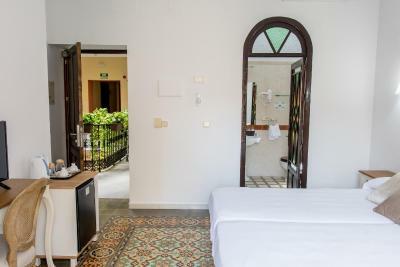 Rooms at the Casona offer traditional décor with wooden furnishings and tiled floors. Each room has air conditioning and a TV. 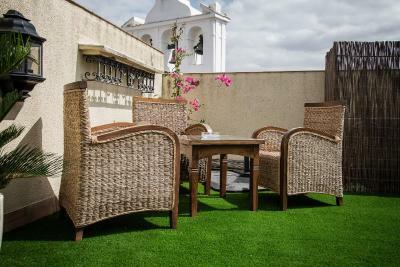 Guests can relax on the rooftop terrace; and free Wi-Fi access is available in the hotel’s public areas. Guests can request a varied breakfast for the whole stay available at an extra cost. 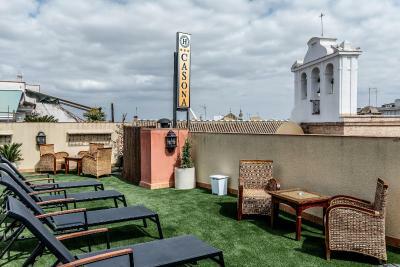 Staff at the Casona can provide information on Seville’s many attractions, including the Cathedral, Giralda Bell Tower and Plaza de España, which are all within 1.2 mi of the hotel. 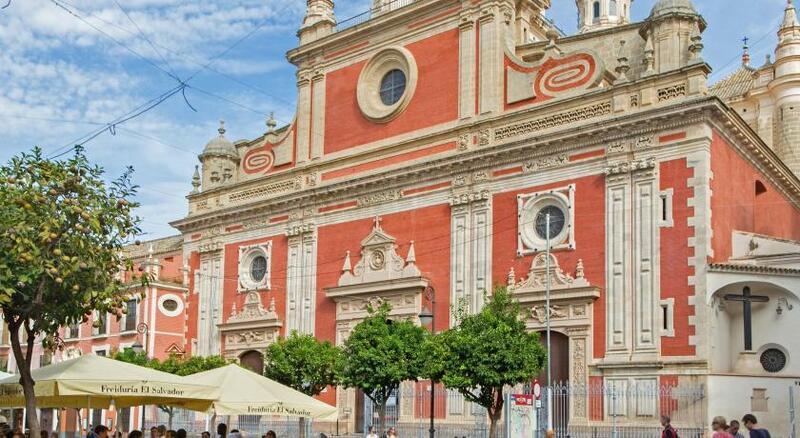 The Bellas Artes Museum and the city’s bullring are less than 15 minutes’ walk away. 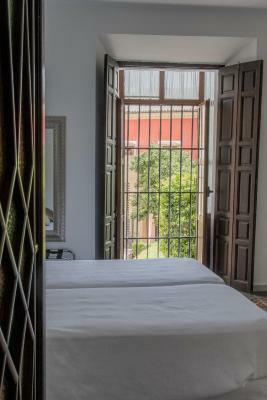 When would you like to stay at Casona de San Andrés? This room features traditional décor with wooden furnishings and tiled floors. It has air conditioning and a TV. 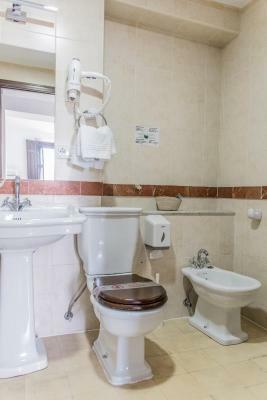 This room features traditional décor with wooden furnishings and tiled floors. It has a balcony, air conditioning and a TV. 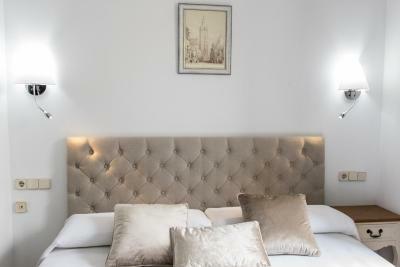 This twin/double room features a electric kettle, air conditioning and mini-bar. House Rules Casona de San Andrés takes special requests – add in the next step! Casona de San Andrés accepts these cards and reserves the right to temporarily hold an amount prior to arrival. Please note that guests under 18 years must be accompanied by a parent or legal guardian. The breakfast facilities were quite poor. We had a wonderful long weekend stay! The hotel staff is so friendly and nice and the location is perfect. Furthermore the hotel is very beautiful and our room had an amazing view. The hotel was beautiful and in an amazing location. It was perfect walking distance to the cathedral and in more of the old town with lovely restaurants and less tourists! The staff were so friendly and helpful. 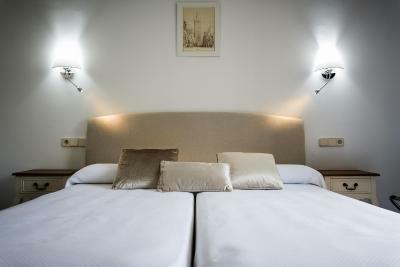 The rooms were spacious and with very comfortable beds. 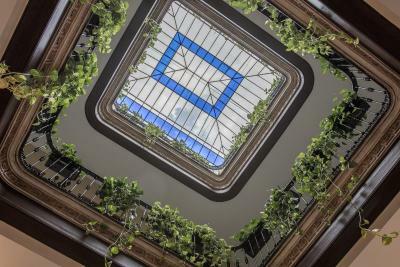 We have the best holiday in Seville and this hotel was perfect for our 6 night stay. Lovely roof terrace also that we sat on every day whilst eating local ice-cream! The rooms are a tad on the small side and some have no windows. Still, you do get value for your money. Because it's an old building, sound travels inside the building. Would have liked more tea/ coffee sachets in our room each day. The woman serving breakfast was very helpful but do not need to stand and always looking at us. Staff was rather nice, but night employee could not understand a single word of English and they did not tell me anything about terrace or how to have access to it and gave me a room without window, even if I specifically asked one, only some fake window opening in a internal corridor with absolutely no fresh air access. The worse it was nonexistent sound isolation, so I could not rest at all in the morning, everyone talking on the corridor was like talking in my room, extremely laud. It was very clean and had a good location.